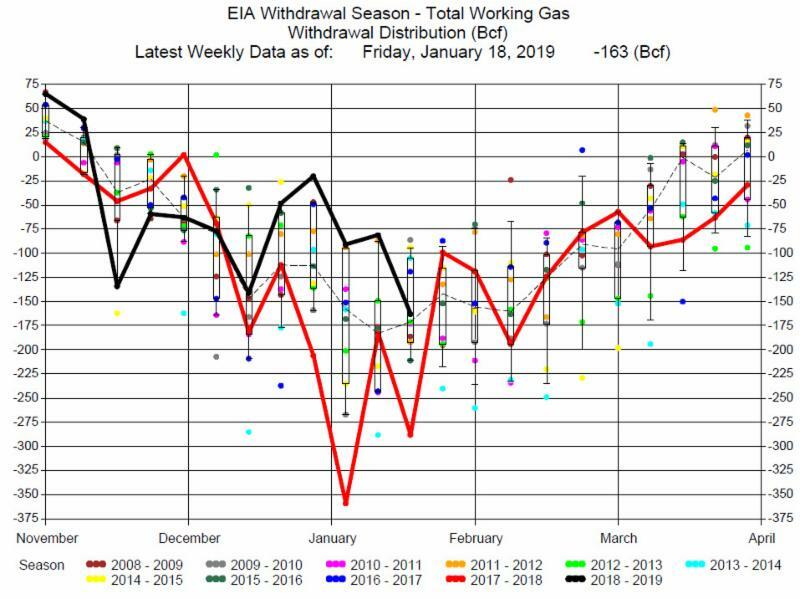 The EIA reported a 163 Bcf withdrawal for the week ending January 18, 2019. The withdrawal was close to average for this week of the year, and greater than the average of expectations of a 158 Bcf withdrawal. The report was bullish to prices, but prices initially dropped with the release of the report. Prices then recovered and ended up about 10 cents by the end of the trading day. 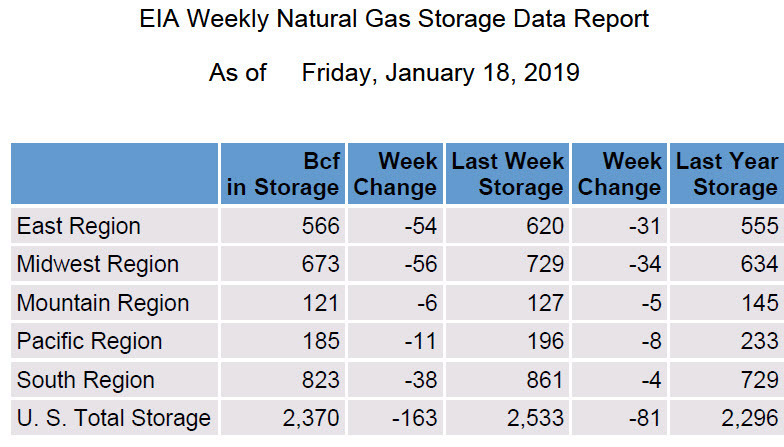 Natural gas storage is now greater than storage at this time last year. 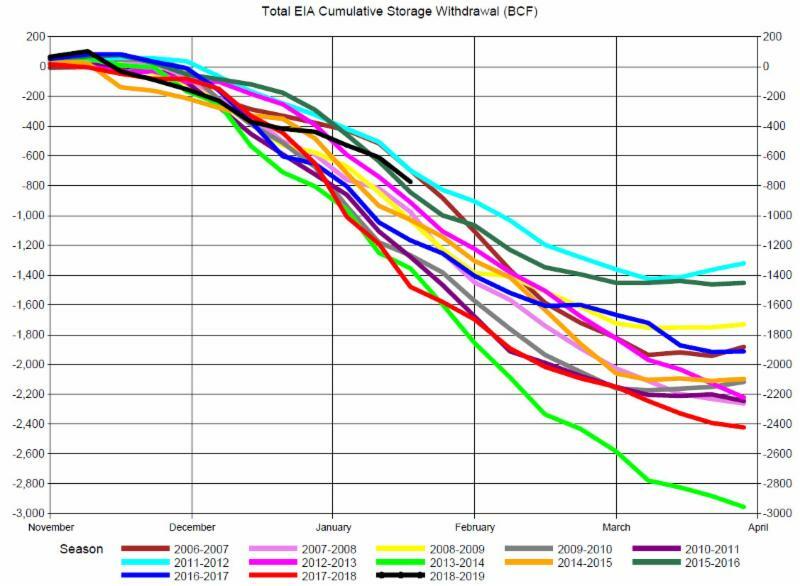 This is a significant change as storage at the end of the injection season was more than 700 Bcf less than the previous year. 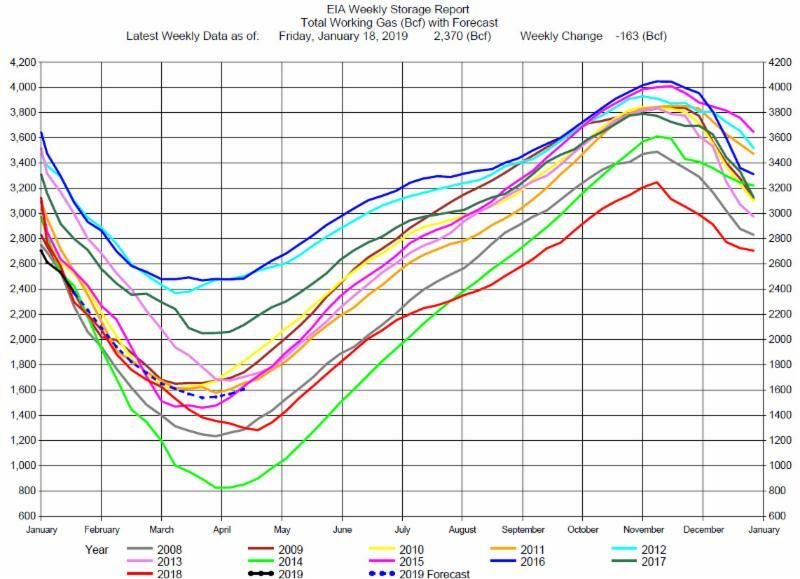 However, with the mild winter weather through the last half of December and the first part of January, draws were well below average and the storage deficit to last year was eliminated. Should weather produce a substantial and sustained cold period, there may be a greater concern for inventories. Without colder than normal weather, the concern for inventories at the end of the withdrawal season will be low.